A sophisticated design for a hip flask. Surprise your friend with this useful yet personalized hip flask. You can change the message or text in the design or just go with the template. 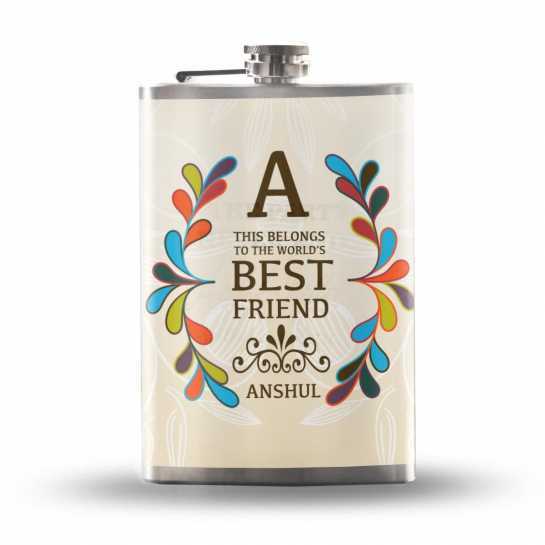 A metallic hip flask, with water proof vinyl wrap around gives a complete royal feel to this hip flask. The layout/positioning of the paper will vary slightly since each flask is a unique piece.